The Directory of African American Architects identifies and highlights licensed African American architects who practice in both the private and public sectors, who teach in higher education, who work in associated disciplines, and who have left the field of architecture but maintain their license. We began the first edition of the Directory in November 1991 to account for and identify all of the African Americans who were professionally licensed as architects. At that time, we suspected that the estimated numbers we came across in various publications were not accurate. The first directory established a baseline with which we could begin to plot the demographic changes among African American architects over time. We also used the data collected from the first edition to facilitate our research profiling the roles that African American architects play in education and in practice, including those who are owners of firms, those who are partners in firms, those who are employees in both the public and private sectors, and those who are educators. 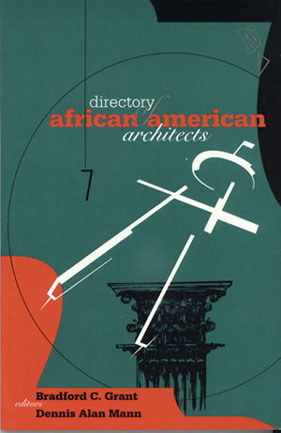 The second edition of the directory (1996) continued our efforts to provide an up-to-date and accurate listing of licensed African American architects. By now both Whitney M. Young's admonition to architects attending the American Institute of Architects' National Convention in 1968 in Portland, Oregon, and the Kerner Commission's June 1968 report on urban unrest have become important historical documents. Robert Traynham Coles, FAIA, a noted practicing architect and a past Distinguished Visiting Professor at Carnegie Mellon University, cited both of these documents in a Progressive Architecture editorial entitled "An Endangered Species" (July, 1989). Based on his observations over a period between 1968 and 1989, Coles bemoaned the dismal growth in the number of African American architects. Coles quoted Young, who said that architects had shared in the responsibility for creating "the white noose around the central city," where much of the urban unrest of the late 1960s occurred. Coles also cited the Kerner Report, which concluded that the nation was rapidly developing into two societies, one black and one white, separate and unequal. These factors, as well as the dismantling of federally supported housing programs, the reduction of federal support for the maintenance and development of physical infrastructures, and the attack on affirmative action policies, along with other discriminatory practices, inhibited the success of African American architectural practices. Major reductions in grants, scholarships, and guaranteed loans for underrepresented students led Coles to conclude that the African American architect was an "endangered species." Coles noted that "the number of black architects had grown from about 1000 to about 2000, remaining at about two percent of the total (of all architects)," notwithstanding the fact that African Americans represent more than 12 percent of the population. Coles' data was taken from statistics collected by the Department of Labor, which counted everyone in the field of architecture without distinguishing licensed architects from interns, technicians, or even designer/builders. Coles found it difficult to substantiate that there were two thousand architects in current practice based on his own observations and experiences with African American architects between 1969 and 1989. The architectural press continued to report weak African American representation in the profession. This is true not only for practice but also for architectural education. The National Architectural Accrediting Board reports that for the 1993–94 academic year, 6.3 percent of students in accredited B. Arch and M. Arch programs were African American. In that same year, only 3.6 percent of the graduates from both of those programs were African American. African American women are even less represented in practice. We listed only eighty-four women in the 1996 directory. No recent statistics tell us how many graduates remain in the profession as interns or continue on to licensure. Recent studies of the role of gender and race in the architectural profession and in architectural education suggest that weak demographic presence has a negative effect on African American architects and other underrepresented architects in the field (see Kathryn Anthony’s Shattering the Glass Ceiling). Conventional architectural history reflects this bias. Historians have been slow to incorporate African American contributions to American architecture into their work or into architecture curricula. Most students of architecture have never heard of Benjamin Banneker, who assisted Pierre Charles L'Enfant in the planning of Washington, DC; or Julian Abele, who designed the Widener Library at Harvard University; or Robert Taylor, the first African American to earn an architecture degree and who worked with Booker T. Washington on the design of Tuskegee Institute. The African American architectural tradition continues today. African American architects are actively involved in all levels of professional practice, from the design of high style interiors to that of large international airports and major museums. African American architects are also senior partners in majority-owned firms, deans in prestigious architecture schools, and administrators in governmental agencies. After the publication of our second hardbound directory, we realized how quickly information can become outdated in print. We decided to create a website that could be updated instantaneously as we received new information. We also felt that a website would put our research into the public sector and make it available not only to other architects but to aspiring architects searching for African American role models. Since we began our research in 1990, the number of licensed African American architects has more than quadrupled, and the number of licensed African American women has grown from 48 to 440. We believe that the website alone has helped to publicize who African American architects are and where they practice. The site provides live links to those firms that have websites and publishes research papers, books, job postings, and current announcements. More recently, we have added a listing of licensed landscape architects. As of September 2018, there are 2,239 licensed African American Architects in the database. We confirm that all licensees are in fact licensed by consulting the state board of architecture registration website for their home state. In addition, the number of licensed women has greatly increased. When we began there were only 48 licensed women. Today there are currently 440. They now make up nearly 20 percent of the total. This year three of the four new FAIA inductees were African American women. Over the past twenty-seven years we’ve been fortunate to widen our contact network as well as discover that our website shows up first in Google searches for “African American Architects.” When we’ve asked someone who contacts us about being added to the Directory how they discovered the site, their response is often that they didn’t know it existed and they found it after searching for African American or black architects online. Today more and more young interns follow the site—and often ask to be added as soon as they learn they’ve passed the Architect Registration Examination. The site is often a good resource for potential clients, suppliers, and young students looking to talk to an architect in their area.